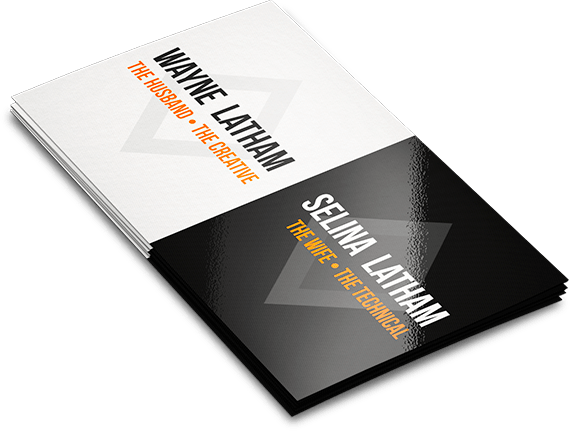 If you read this post you’re helping to keep me in business. THIS POST COURTESY OF MY SPONSORS. Hello. How are you? This is my monthly sponsor post. You may have noticed that once a month I feature the businesses you see featured in the little square ads on my sidebar. It’s my added bonus to the advertisers who spend their advertising dollars here on my website where they know they’ll reach an audience who is interested in their products. People who garden, chicken and decorate. And cook and clean and read and watch tv and dream and make things and break things and swear when their gas bill goes up. So regular folk. Most of the advertisers have been with me for years. Brenda from Cattails Studio has been with me from day 1 of advertising. So thank you for reading my sponsor post every month. Not only do you get great ideas for gifts (for yourself or others but mainly yourself) you keep this site and a bunch of other small businesses going. Advertising is how websites make money and as much as I love this blog I wouldn’t be spending 12 hours a day doing it if I didn’t make any money. Blame it on my unnatural affinity for food, shelter and tea light candles. I know that comes as a shock to 3 or 4 of you. You’re the 3 or 4 who complain to me every month that you don’t like that my website runs ads, lol. But 3 or 4 of you out of a quarter of a million is pretty good. That’s probably about the same percentage of people who eat their own toenails. Now onto the things I love. First up is this encaustic cement tile from Cement Tile Shop. I happen to love this particular colour with all of my heart, but if you don’t, it can be ordered in any colour you want. Unless you’re American. In which case it can be ordered in any “color” you want. Give the gift of a gasp. This walnut salt/spice cellar and matching spoon from Brenda at Cattails is just about the most perfect hostess gift I could imagine. Also great for that person who owns really old ugly salt and pepper shakers covered with goo. 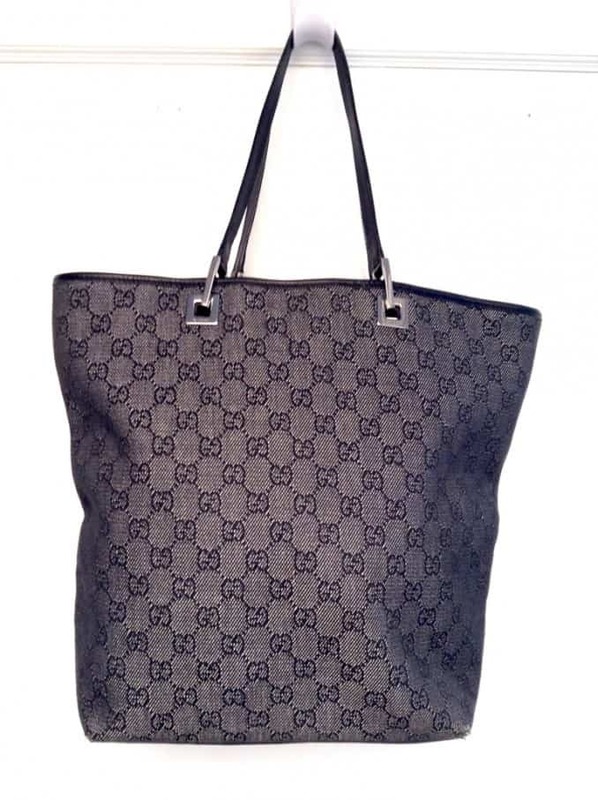 I’ve been a sucker for anything Gucci since I was a teenager. When Tom Ford started designing for them I was a goner. When Gwyneth Paltrow wore his red suit with a blue blouse at the MTV awards … well … nothing really dramatic happened other than I loved it and still remember it 20 years later. 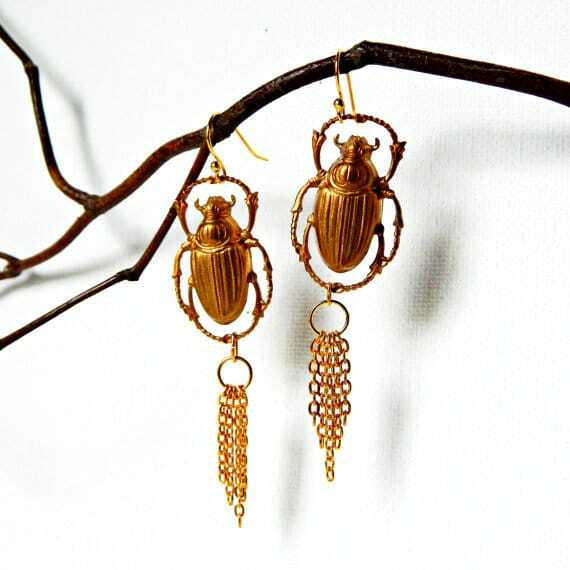 Golden Scarab earrings from Crafty Little Gnome! Wanna know what a Scarab is? ‘Cause I thought it was a June Bug. It is not. It’s a dung beetle. Which is way more fun to wear all golden and shiny, hanging from your ears. Honestly. Do I need to explain my love of this one? Bainbridge Farm Goods make the nicest garden, farm, pet signs around. One of the best foundations on the planet. Yes. I use it. FACEatelier available from Ellenoire. Daniela continues her travels in the Far East. When last we checked on Daniela of Curious Citizen she was making her way across Thailand. Since has since crossed a few borders and is now in Vietnam. And it might not be what you think it’s like. As evidenced in the photo of the beautiful cafe below. Amanda from Diamond Dust Studios started her Etsy shop with custom, handmade Western shirts for men, women and kids. 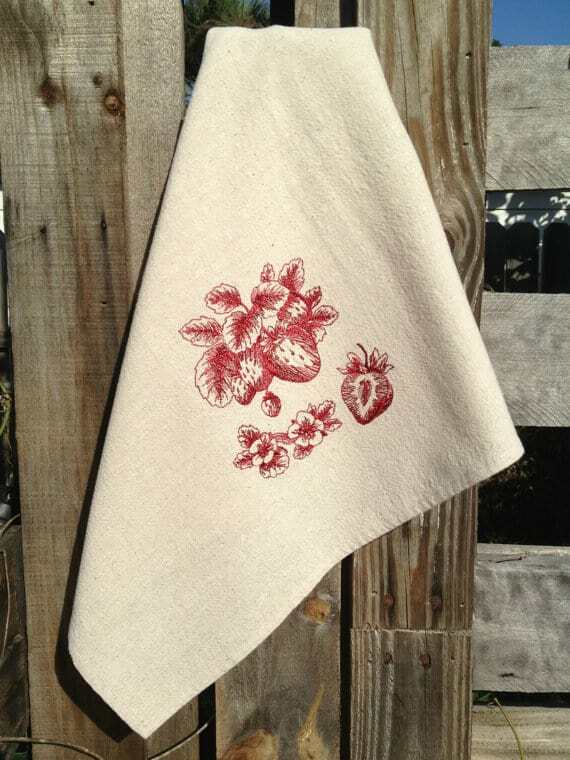 But her machine embroidered tea towels are the things that always make my heart beat faster. Next month I’m going to talk about exactly how blogs make money. Start a blog now with WayLay blog designers Wayne & Selina. If you don’t just go ahead and do it you never will. I’ve always loved these waiter’s aprons and now Tricia at Rough Linen has made them out of 100 % linen and put them for sale on her site. She originally designed these aprons for a local restaurant in Los Angeles. I want one and I might even carry a notepad in my front pocket and charge people who eat here. I might not, but I might. I might just use it to doodle pictures of cats. Thanks again and I hope you found something you like! 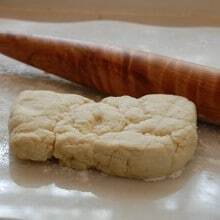 This post has the word boobie in it. 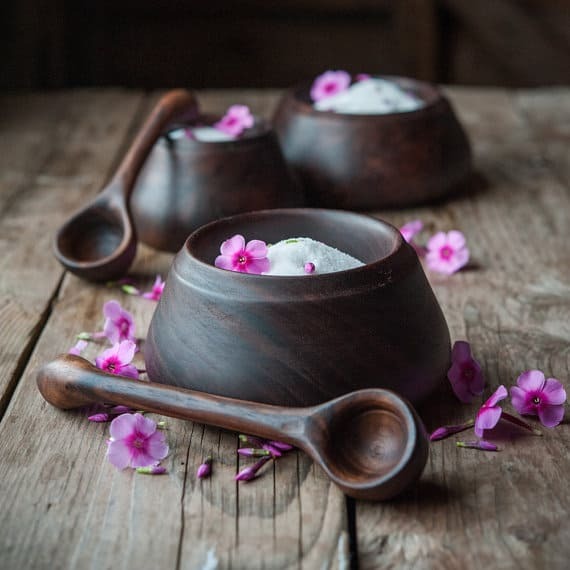 What is a “walnut salt/spice cellar and matching spoon”? I cannot find it on the website; the link on this page takes me to a bread board. Thanks for letting me know paula! I have no idea how that happened. I’ve updated the link to the salt cellar. By the way I also love the cutting board, lol. ~ karen! You are welcome. I googled salt cellar – I had never heard of one before. 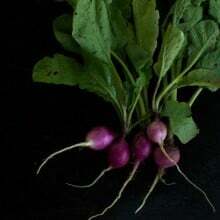 There are beautiful products on the website. Yes, Brenda makes everything herself from her home on the East Coast. I have a lot of her stuff and love every piece. ~ karen! I grew up with salt cellars and have my grandmother’s crystal set of six. They are beautiful. I am a new reader and every time I get an email about a post I am excited! Because you are HILARIOUS. I don’t even care what it’s about. I just like reading what your write. Which is funny, because when I had a blog people said that to me and I thought it was a strange thing to say. I mean, you gotta care what it’s about, right? That said, I must care a little. Because I want to buy all that stuff. And I might if I hadn’t told the husband to change the PayPal password. But he can be persuaded. Hi Kim! 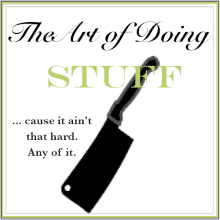 Welcome to the Art of Doing Stuff. I’m also writing a book which is going to be very serious about disease and scabs and such. No it’s not. It’ll be funny too. ~ karen! p.s. tell your husband you need the Paypal password to buy him a present. I am a long time sewer….seamstress, seam ripper……and I have LOVED the Clover ripper you feature so much I keep them all over the place. I give them as gifts,. Anything Clocer is good if you stitch things. I am down to only 1 seam ripper and it must be from the 10 cent store, not even good enough for the dollar store. What’s better about this? Thanks! In my opinion, a great seam ripper is just like a good knife. The tool does the job right. A good one is sharp in the little angle of the blade part, but very smooth on the edges to slide gleefully into a seam, and nip out the thread with utmost ease. If you have had a good seam ripper, and then go to a bad one, you’d know it. I have a great seam ripper that was my mother’s. I could never find it’s match. Maybe for four dollars I will check them out! I didn’t even know I wanted half this stuff until you told me I did. Now I need Kim’s PayPal password, too, please. I just couldn’t live a moment longer without those scarab beetle earrings! Thanks for showing me what was missing from my life, I will be happier for having them. Love them! I am liking those scarab earrings this month..I mean there are worse things than dung beetles you could wear on your earlobes right Karen..like maybe just golden dung without the beetle part..right Karen..or golden brussels sprouts maybe..right Karen..I’m tired now..nite..
hahaha ‘Las Angeles’ ? I’m so tired, but that is funny. We out here in the west love to keep people guessing how to spell and pronounce our Hispanic heritage names like Las Vegas and Los Angeles. Yes!! and we like to call that teaming southern Nevada mecca Lost Wages. Oops. I actually do know how to spell Los Angeles and Las Vegas, lol. Not sure what happened there. (I’ve fixed it) ~ karen! I checked out the scarab earrings and saw they were sold. Glad one of your readers got them. Fun stuff in this post! Sheri K, I see they are available again! Please, please, please do not ever allow any of those incredibly irritating advertisement videos that just start playing on their own and can’t be stopped. I despise both the ones with and without volume. It’s the quickest way to get me to leave a website and never look back. And a guarantee that I’ll avoid the product if at all possible. Marlana – I do the same! I turn the volume down/mute the sound when I go to a page so I don’t have to be annoyed with an audible ad. I also leave a site immediately if an ad covers a page. I don’t mind the sidebars, but don’t cover the page. I know ads are a necessary evil, but shouting doesn’t work. I know what you mean – I’ve missed entire posts just because I can’t shut them off or get around them and they stop my computer from exiting the tab. If I see them I delete immediately and never go back to that post knowing they are lurking there – way too much of a hassle for this old not-so-computer-savvy grandma. ahhh … seam rippers. spent many an hour with the lovely little things. they come in handy when the tension on your sewing machine is buggered up! Great focus on good products and good people who make them. I am a new reader (and apron maker) as well, and enjoy the site and new posts. The linen aprons are so fine. Got a kick out of the lady who wants to iron it. In my old age, I am just getting the courage to wear my linens without ironing first – considering some are 30 years old and are almost wash and wear anyway it’s no great feat. “color” vs “colour”? Where are you? Love language – and los’s and las’s. Had a time trying to pronounce “Lake Oauchita” with my southwestern roots. Hint – It sounds like the talk on laundry day. OK, realizing I gotta go and get a life. Hugs! Hi Elaine! I’m in Southern Ontario, Canada. And I actually do know it’s spelled Los Angeles, lol. I’m not sure why I typed it wrong. Colour is how we spell it over here. 🙂 ~ karen! Great post and such lively energy! I’m a new reader. Found you when I wanted to make my own smartphone armband because I hate wearing plastic on my body (unless it’s a pair of glasses, and then I’m like all for it because vision…) and while I was savvy to your idea, just as an intuition about it, I wanted to see if you had anything by way of using a sock (like those super long soccer socks) as a belt-like arrangement because why not? Anyway, I love salt cellars. I have many aprons — love them! — and love the ones you’ve shared. I have a friend who has chickens… I will show her the signs you’ve shared. Stay clever. It’s so easy, no? Of course you have sponsors! If they didn’t pay you, we’d have to be charged to read your wonderful blog! oops! Ummmm, forget I said that…. At least your ads are of interesting stuff! I have a Bainbridge Farm goods sign hanging in my porch room! I hope you keep on blogging for a long, long time! Love the salt cellars but a hostess gift? You are really generous. Maybe I could invite you over and you could bring me those. I actually am, lol. I’m careful with money for myself but GREAT with gifts for others. That’s why I tell everyone I’m not cheap. If I was cheap I’d give crappy presents, lol. ~ karen! I had a literature instructor in college who marked my colour as misspelled. I was not happy as it was not wrong. Anyway, I passed with a B which is not bad considering I had not been to school for fifteen years. 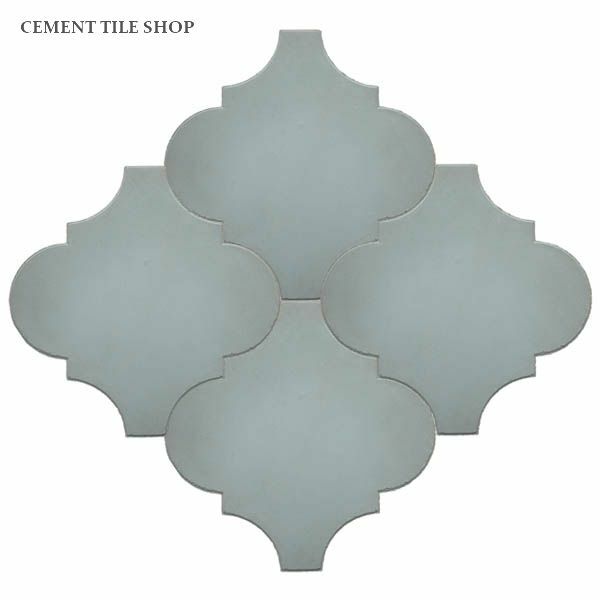 I’ve already been looking through the Cement Tile Shop website and they have amazing tile. Getting ready to replace a small balcony tile and wondering if I can use tile from them. Love your slightly twisted sense of humor! And about ads on blog sites- we all got to pay the bills and if you endorse them they must be worth looking at the website. This saves a ton of time and money. If you don’t want to see the ads just ignore them like you would a pesky kid or husband that’s asking, What are we doing for dinner, when you’re on a diet and eating nothing but salad! I momentarily loved the apron and then realized it was not what I need! While I did feel like I was running a restaurant when I was bringing up three boys (and when they are all now home at the same time), a half-apron would be no help to this cook. I need a fully tyvek suit when in the kitchen. I take my cooking very seriously. I even have cooking clothes that don’t care about tomato or blueberry stains, oil splatter, etc… I suppose I should wipe my hands with a cloth, but why do that when I can wipe them on my apron? I have been trying to find myself an anniversary present (my husband is in hospital, before I give you the wrong impression of him!) 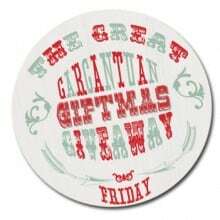 so I had a look at your links and fell completely in love with the beautiful wooden chopping boards from Cattails. I ordered one with my initials, and am very excited for it to arrive in due course. I also mentioned where I found her. I have been sleeping on Tricia’s linen sheets for years now thanks to you. Her beautiful Orkney linen tablecloth is on my long, dining room table and her pinafore hangs on the pantry door. And I’m thinking I need to have one of those waiter aprons too. I love seeing your sponsors because I know you’ve given them your seal of approval and I can’t go wrong ordering anything from them. As far as those 3-4 readers who don’t like the ads, do they think chickens grow on trees? Now see, in my normal world, something like that wouldn’t leave my brain, but when I read your blog, I’m happy to let the weird stuff come out. Nicely done post, Karen. You have a way with words that make even a promo post appealing. I’ll click through each one of your sponsors just for fun. Who knows, I may find something I absolutely I absolutely need! Regarding the Curious-citizen’s picture of the coffee shop in Saigon. 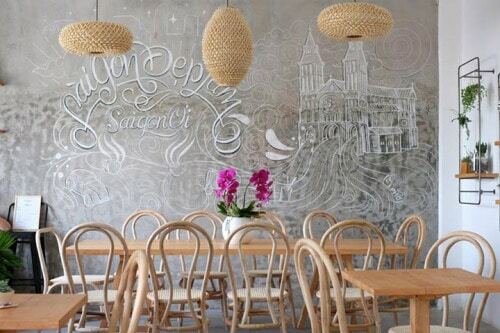 Translating of the wording on the wall is “Saigon is so beautiful, Hey Saigon”. It was the lyrics of a Vietnamese song written in the late 1960 to describe the beauty of city. The music is literally singing in my head. If there’s anyone I want to stay in business it’s YOU!! Do you look for sponsors or do they find you? because you might want to check out Litographs — seems like a company that fits your blog. Hi Theresa! The sponsors find me. 🙂 ~ karen! Lots of cool stuff here! Do love those signs. I decided to visit your website after reading a bio about you in the Costco Magazine. Being a born and raised Hamiltonian peeked my interest. Great site you have. First of all thanks for sticking to the colour, neighbour roots. With the world wide web it is so easy to give in to that. Secondly I would also not visit if you allowed those annoying video ads to be shown. The sight is well done and the blogs are aesthetically pleasing. I haven’t had much time to check things out yet, but it looks like this may be my new “favourite” blog sight. I’m so glad you love them too! I like having mine as a salt cellar on a low, small mason jar because I get to touch it and use it every day. How are you using yours? ~ karen! HI Karen, thanks for this. The cement tile site has given me some ideas for future outdoor enhancement. Can’t say when this particular future will arrive, but the seed’s been planted.